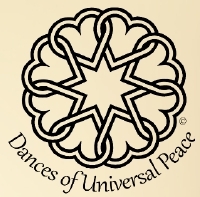 Dances of Universal Peace will present “Wisdom of the Desert at The Community Church, Bridgewater, SA, on 16 July. The event will conclude with Sufi-Zikr Dance. Through	the	medium	of	the	Dances of Universal Peace, Arjuna	will	accompany	us	on	this	journey,	bringing	together	dances	that	honour	the	Abrahamic,	Goddess	and	Indigenous	traditions	that preceeded	them. Arjuna	will	weave	a	carpet	through dance	and	associated practices,	shining light	on	these beautiful	traditions	of	the	world,	where	we	may find the key to	unlocking their	mystery and	wisdom	within	ourselves.